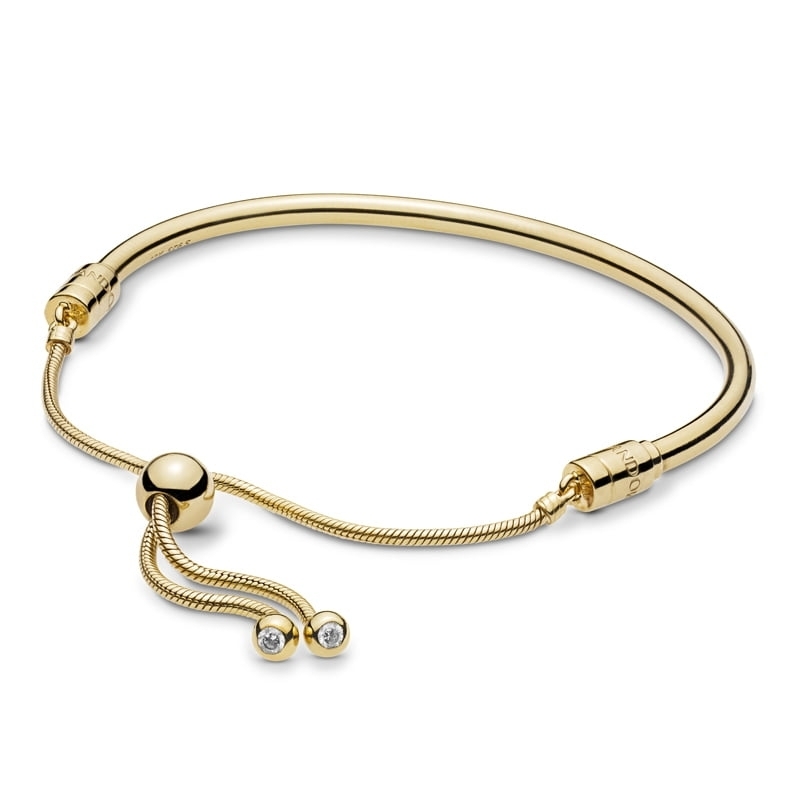 Pandora Moments Shine Sliding Bangle. Made from 18 ct gold-plated sterling silver, this bangle is a marvel in its functionality and design. Complete with a sliding clasp, it's sleek and contemporary design is perfectly complemented by the radiance of Pandora Shine.